How Is Afghanistan's Fight Against Corruption Going? Evaluating the progress and set-backs in attempts to reform Afghanistan’s procurement process. Among his campaign promises and goals, Afghan President Ashraf Ghani envisioned a corruption fight centered on reforming the public procurement system. Efforts began by establishing a central procurement directorate under the Administrative Office of the President (AOP); this entity, later dubbed the National Procurement Authority (NPA), integrated pre-existing pieces of the procurement process. Three main entities were dissolved or merged into the NPA: the Procurement Policy Unit (PPU) of the Ministry of Finance, Afghanistan Reconstruction and Development Services (ARDS) of Ministry of Economy, and the Contract Management Office of the Ministry of Finance. In another step, the National Procurement Commission (NPC) was re-established to review and approve all high-value contracts for all 64 procurement entities in the country. The NPC is chaired by Ghani and includes as members the Chief Executive Officer Abdullah Abdullah as well as the ministers of finance, economy, and justice. Providing secretariat services to the NPC is one of the major responsibilities of the NPA. The NPA was created after a comprehensive assessment of national and international procurement models and systems. Based on a concept paper, the NPA officially came into existence through legislative decrees approved by the president. In accordance with the concept paper, the NPA was mandated to be responsible for a number of tasks, among them strengthening procurement policy and regulatory mechanisms; fighting corruption; developing an integrated national planning mechanism; creating mechanisms to monitor contracts and settle disputes; and overseeing the development of an electronic-based procurement system to improve transparency, accountability, and efficiency in public expenditures. From the very beginning, the reform process faced protests from government officials and members of parliament. Criminal patronage networks extended into the government itself, and were trying to manipulate and sabotage procurement reforms. Given this, the international community, including large donor agencies like the World Bank, was uncertain whether the president could succeed in the long run. Moreover, project implementation in a post-conflict country like Afghanistan is often associated with problems and minor conflicts between aid agencies and the government entity overseeing projects — typically headed by a minister. With the new procurement system, intentional agencies and donors worried they could confront the unpleasant scenario of arguing not just with high-ranking government officials, but with the presidential palace itself. However, after some rapid progress and achievements all parties decided to mesh their policies with Ghani’s preferred direction. After intensive efforts, the revised Procurement Law was enacted by parliament in mid-2016. Unfortunately there has been no systematic research or independent evaluation conducted to study the reform’s achievements and success on the ground. Due to a lack of capacity in both the governmental and private sectors, the labyrinth of inter-ministerial bureaucracy, and corruption combined with an inefficient procurement and disbursement system, the government has never been able to spend more than 60 percent of the annual national budget. In 2015 and 2016, Afghanistan spent only 54 percent of its development budget, a low rate that suggests reform will not achieve the goal of increasing the budget execution rate. The annual national budget is unrealistic, thanks to political interference. For example, large development projects often end up taking up chunks of the annual budget despite needing another one or two years before being technically prepared for the procurement process. In other words, budget space is taken up by projects that have no chance of actually being undertaken in that fiscal year. This occurs because the NPA has failed to implement an integrated planning system, which would check that a project’s documents are ready for the procurement process before the project is approved under the national budget. Another issue is that the NPA leadership and procurement executive officers generally have a background in policy, rather than practical fields; they have little experience with the procurement process. Thus they have difficulty understanding the procurement challenges faced by entities on the ground. During my time at NPA, I heard many complaints from the infrastructure sector that approval of contracts or even small contract extension or alterations would take months at NPA and NPC to be approved. Much of the NPA’s leadership was involved in the election campaign, championing the eventual president. Therefore Ghani’s directives and concerns are higher priorities for the agency than practical demands or even the completion of strategic reform goals. A substantial amount of NPA energy and resources go toward arranging and continuing the weekly NPC sessions. As mentioned earlier, the NPC is the highest contract review commission. It widely is used by Ghani to map out contracted entities’ performance, evaluate their budget and technical progress, or even terminate and promote civil servants. Ghani has professed special interest in a transparent contract award process, but he hardly ever allows time for technical discussions of project contracts during NPC review sessions. Ironically, in practice the NPC has created a new corruption risk. Bidders never know where in the approval process their project is; therefore some hidden networks within government entities can profit by selling fake promises to obtain a contract’s approval — all while the project’s contact has already been approved by the NPC. The NPA is still unable to post the approved contract list on its website on the same day in order to avoid such corruption risks. Meanwhile, two years on, the contract monitoring mechanism, dispute settlement mechanism, and e-procurement strategy are still not completed, with the NPA’s directorate unable to make considerable progress. Yet for political reasons, monitoring and evaluation entities hardly dare to examine the NPA’s performance. 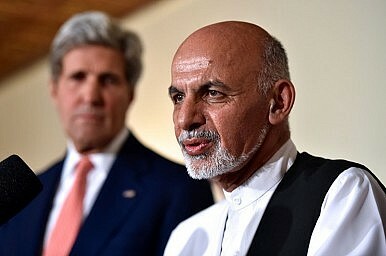 Given the agency’s close connection to Ghani, it has become common to speak highly of the NPA just to win over the president. This has created a false sense of confidence in the NPA. As a result, there is no system in place to enhance the capacity of procurement staff. The Afghan government does not have yet clear exit strategy or sustainability plan for the NPA. The agency was established and made relatively good progress in a short time mostly due to personal political support from Ghani. When Ghani leaves offices, the current system of centralized power and control over large-volume contracts can be influenced and misused by criminal patronage networks. Without Ghani’s support, the NPA will be unable resist pressure and interruption from corrupt forces. Murtaza Noori is a Doctoral Candidate for Business Management Degree at Indian School of Business Management and Administration. He formerly served as procurement policy director under the NPA. Follow him on LinkedIn and Facebook. Can Afghan President Ashraf Ghani succeed in his ambitious vision for remaking the country?